Mink Oil has every necessity to make aging skin healthier. Do you want to become beautiful as soon as possible in an easy way? Mink Oil makes your wish come true. Many women long for fine-textured and firm skin. For busy people today, however, it is a hassle and fuss to use cosmetics of various types. “I want to become more beautiful”. What grants such wish in a simple and easy way is “Mink Oil Skin Care”. Mink Oil has been preferentially used as a cosmetic ingredient for a long time. Mink Oil is an oil extracted from Mink’s subcutaneous adipose tissue. In Europe, it has been appreciated as a cosmetic ingredient for about 50 years. Once, there were some damages, including melanoderma, induced by chemically synthesized cosmetics and the safety of cosmetics became a problem. During that time, the pure natural product, Mink Oil, received increased recognition and was registered as the Ministry of Health and Welfare’s (present Ministry of Health, Labour and Welfare) standardized cosmetic ingredient in 1973. Mink Oil contains a lot of palmitoleic acids and oleic acids, which are highly unsaturated fatty acids, and palmitic acids which are saturated fatty acids. As those acids are the prime components of sebum barrier which covers human body, compared to other animal oil and plant oil, Mink Oil has a characteristic that it is considerably gentle to the skin. Furthermore, Mink Oil penetrates well into the skin and is mildly irritating. It is also characterized by the ultraviolet absorption feature. Making use of those characteristics, now Mink Oil is widely used for basic skin care products, sunscreen, emollient cream, hand lotion, body lotion, bath oil, shaving cream, hair care products, treatment cream, etc. In addition, as Mink Oil contains linolenic acid, which is polyunsaturated fatty acid, its easily-oxidizable nature was a challenge in the past, but the problem has been stabilized because of advances in production methods. Furthermore, recently, it became possible to remove its unique of animal. Mink Oil has twice as much permeability as olive oil. A result of clinical test, in which Mink Oil and olive oil were compared, showed that the skin penetration rate of Mink Oil was more than twice as that of olive oil which is well known as a cosmetic ingredient. Moreover, as a result of skin and eyelid irritation test, it turned out that, compared to olive oil and other plant oil/animal oil, Mink Oil is much more gentle to the skin. Those results are considered to be taken from the fact that Mink Oil contains a lot of palmitoleic acids. Regarding its spreadability as well, the surface tension of Mink Oil is much lower than those of other plant oil/animal oil, it smoothly spreads on the skin surface and is absorbed into the skin without becoming clammy. Mink Oil prevents sunburn without irritating your skin. This is because Mink Oil works to absorb ultraviolet radiation before ultraviolet radiation reaches the skin. For synthetic ultraviolet absorber, some people voice their anxiety about its safety, including the risk of side effects. Although the ultraviolet radiation protection effect of Mink Oil is a little less than that of synthetic ultraviolet absorber, given that issues on the side effects and safety of ultraviolet absorber are currently much talked about, it is considered to be highly effective. In the results of ultraviolet absorbance determination, Mink Oil showed better results than those of avocado oil and sesame oil which are generally considered to have high absorbance. In addition, in the result of sunlight test, in which the skin is exposed to ultraviolet radiation and the area of sunburn is measured, the ultraviolet absorbing effect of Mink Oil was confirmed as well. Mink Oil is a natural ingredient. It’s a natural cosmetic product which moisturises your skin and prevents aging. Some of you may have heard that, if you use oil as a makeup base in the morning, it causes oil stain and it is not good for skin. As Mink Oil has the effect of preventing sunburn, however, you can say that it is suitable for makeup base. Not only as a makeup base, Mink Oil also works as natural cream for skin (sebum), so it is highly functional that you don’t even have to gather various basic skin care products such as emulsion, nutritional cream and makeup base cream. In addition, its multiplicity enables you to use it both in the morning and evening and it can be said that this is one of the reasons why “Mink Oil beauty treatment” has been loved for a long time in Western countries. Having high purity of 99.99%, Mink Oil does not contain any perfume, artificial colors or emulsifiers (surfactant) which cause various troubles to the skin. 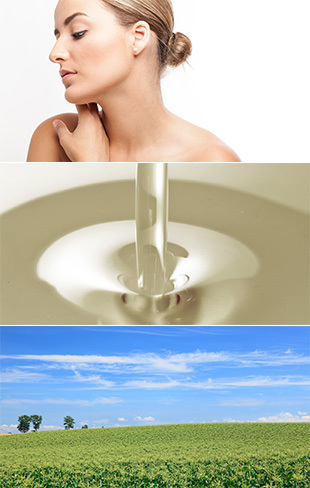 It’s a natural cosmetic product made from natural ingredients, which is safe to use for sensitive skin. When you reach 25 years old, the secretion of natural cream (sebum) begins to decline and becomes unable to protect your skin, so your skin’s moisture begins to fade. This means you have reached a so-called turning point of your skin, so unless you make up for the loss of oil appropriately, your skin continues to age more and more. Make food use of Mink Oil to make up for the loss of oil and gently make your skin healthy. What you use every day for your precious skin must be something that you can use without worry. Experience through your skin the reliable Mink Oil made from natural ingredients. Enjoy the natural blessings and get ideal, beautiful skin. AILI Inc.’s Mink Oil is made from the subcutaneous adipose tissue of Minks raised in our own farms across Europe and purified by our unique refinement and purification techniques based on many years of research and development. Recently, it has been widely used as a base material for cosmetic and medicinal purposes by domestic and overseas companies. The fatty oil derived from Mink’s subcutaneous adipose tissue is purified by AILI Inc.’s own techniques. This product is purified by AILI Inc.’s own techniques. Therefore, it is almost colorless and odorless, and has excellent oxidation stability. Mink Oil is composed of the fatty acid tissue closely similar to the fat composition of human. 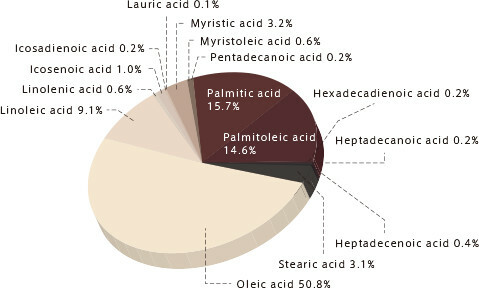 In addition, fatty acid contains about 20% palmitoleic acid. Therefore, it is low in viscosity and non-sticky. As it has high spreadability, it spreads well on the skin. 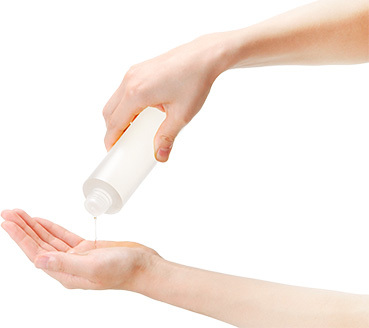 Because of its high permeability, it is widely used as a base material mainly for basic skin care cosmetics and medical products. As it is low in surface tension and highly compatible with other substances, it is especially suitable for being included in aerosol formula. In this case, you can expect the effect of preventing the clog of valves. As it spreads as a thin membrane on the surface of hair and has high adherability, it makes your hair glossy and very easy to comb. Furthermore, as it has low surface tension, you can expect that it makes dandruff shed faster and provides emollient effect. Making use of the excellent emollient effect, you can widely use it for hair care products, treatment cream, base ingredient for permanent, emollient cream, sun oil, ointment, medicinal cream, hand lotion, shaving cream, body lotion, aerosol products, medicinal use and others (for leather, fur and polisher).